Vehicles are key to this week’s challenges. A new set of weekly Fortnite: Battle Royale challenges has just been released. The season eight, week four challenges follow the same pattern as previous weeks, comprising of three free challenges that are open to all players and four premium challenges available to Battle Pass owners. All of these challenges can be completed in Solo, Duos, and Squads game modes, as well as in any Limited Time Mode. 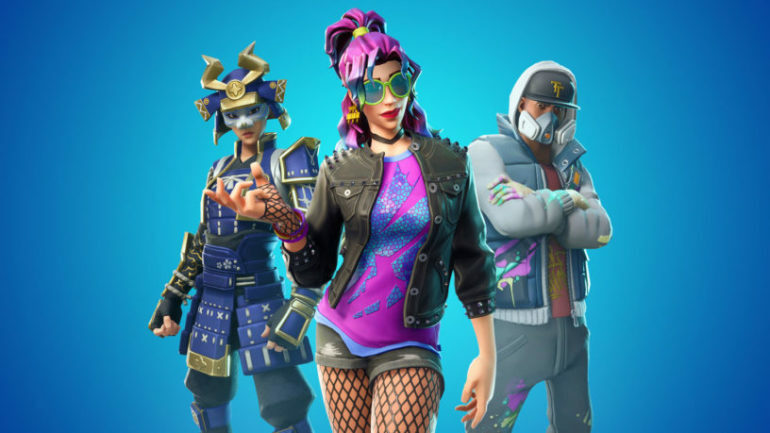 Players will find that some challenges might be easier to complete in different game modes, such as outlasting opponents is less difficult in Solo and dealing damage with different weapons is easier in modes with respawning enabled. Activating Party Assist for a challenge before every match will also help players to complete them in no time. Week four challenges will send players looking for Pirate Cannons, The Baller, and the Legendary item, Buried Treasure. Players will even have to go around the map landing in certain named locations and eliminate opponents with a few weapons. Check out the full list of season eight, week four Fortnite challenges below. There’s a section with a few tips and trick right below it, too. There are a few ways to complete these challenges fast. If you’re trying to finish them up while a Limited Time Mode with respawning is active, it might be a good idea to play a few matches in it to complete the eliminations and Pirate Cannon challenges. You’ll have more than one chance of doing both of them right or of getting enough progression to complete them in a single match compared to if you were in a standard game mode. It’s relatively easy to complete the challenge of outlasting 90 opponents in a Solo match. Avoid highly-contested areas like Tilted Towers and drop near the end of the Battle Bus path to make sure to avoid as many opponents as possible. Play for survival, not for eliminations. After you finish off the week four challenges, if you did the same to the other three sets of weekly challenges, you’ll be able to see and pick up a secret banner in your next match.